The end of David Letterman’s groundbreaking tenure on The Late Show marks the end of an era in late-night television. When Letterman arrived in the early 1980s, he forever revolutionized the format with his absurdist, acerbic, and irreverent comic sensibility. All hosts who have followed owe a debt to Dave. Over the last decade, however, social media has had a profound influence on how these shows engage audiences and share content. In a world where viral videos now dominate water cooler conversations, late-night shows must compete for attention with the entirety of the Internet. While Letterman’s struggles with virality may not have directly resulted in his decision to retire, it seems that he recognized it was time for him to cede the stage to the next generation. “I still enjoy what I’m doing, but I think what I’m doing is not what you want at 11:30 anymore,” he told Rolling Stone earlier this month. Chasing virality has posed new creative challenges to late-night writers, which some shows have met with impressive results. Conversely, this push has provided fodder to the argument that the late-night format itself might be obsolete. From Jimmy Kimmel’s elaborate pranks to Jimmy Fallon’s lip-sync battle (which is now an entirely separate show on Spike), late night has been chasing the viral dragon for some time now. Most of these efforts have been successful, if not especially comically inspired. These days tracking virality is almost as important as ratings numbers as a barometer of not only audience interest but also a show’s overall relevance. A Variety story from March fretted over Late Late Show host James Cordon’s tepid online numbers. Following its debut, the show’s YouTube channel had only 590,686 engagements. By comparison, Jimmy Fallon’s Tonight Show had 21,174,263 engagements over the same period. 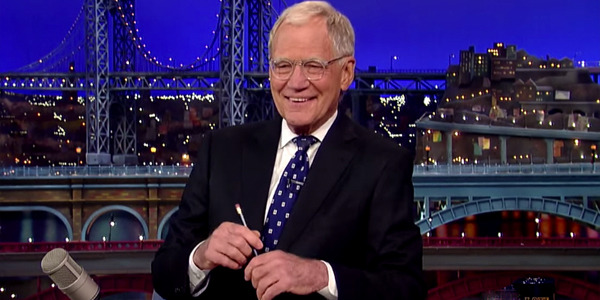 For his part, Letterman logged 567,174 engagements. Late Night with Seth Meyers took the bottom spot with 361,798. The Daily Show and The Colbert Report were early viral trailblazers, proving that content could have a second life online. Segments lambasting political hypocrisy and journalistic shortcomings were both entertaining and cathartic. John Oliver has continued this tradition on HBO’s Last Week Tonight, which has taken the viral rant to another level by imbuing it with honest-to-god investigative journalism. These longform segments have successfully raised awareness on issues often overlooked by the mainstream press. For example, Oliver’s in-depth exploration of net neutrality broke the FCC’s website as a tidal wave of people logged on to comment on the matter. Still, the desire to be buzz worthy often results in an over reliance on cheap gimmicks. Look no further than NBC’s Tonight Show where Fallon’s celebrity hangout hour is nothing but a parade of parlor games and mugging for the camera. It’s cute, cheeky viral gold. It’s also vapid and lazy. Sure, some of these bits are fun — Fallon’s music videos with classroom instruments are, honestly, pretty great — but more often segments are sycophantic, self-indulgent and tailor-made to be shared the next morning by BuzzFeed, UPROXX, and every other click-bait site on the Web. Still, du Bouchet kind of has a point. The changing landscape of television and its symbiotic relationship with social media is changing the medium. If clicks, likes and retweets are the goal, then shows will only produce content guaranteed to do just that. For better or worse, “celebrities being silly” currently ranks right up there with cat videos as essential online viewing. It’s worth considering if this current state is, in fact, as detrimental to comedy as du Bouchet argues. The oddball, often challenging brand of comedy popularized by Letterman and carried forward by people like Conan, Kimmel, Colbert and Fallon, is increasingly being pushed to margins on late night as more facile content gets more clicks. But good comedy still does exist on these shows. It’s also thriving on basic cable and websites like Funny or Die. Late night aside, comedy in 2015 is doing just fine. Outside of late night, the evolution of the television medium is undeniable. Time-shifted viewing, binge watching, fervently engaged fans: All these factors are reshaping how networks and cable providers bring content to viewers. Late-night talk shows, too, must adapt or be left behind as new forms of entertainment take their place.